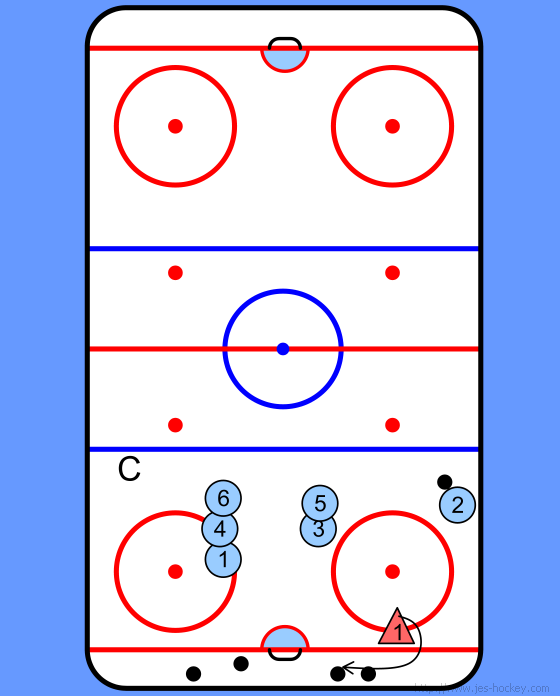 Players line up as shown - 1 D makes all the passes until players are all at the other end. 1. D retrieves a puck behind the net and moves the puck to F2 who is supporting the puck on the boards. 2. F goes in for a shot and sticks around in front of the net for a deflection or rebound. 3. D immediately turns around and retrieves another puck and moves it to the next player F1 who has to time it properly. 4. 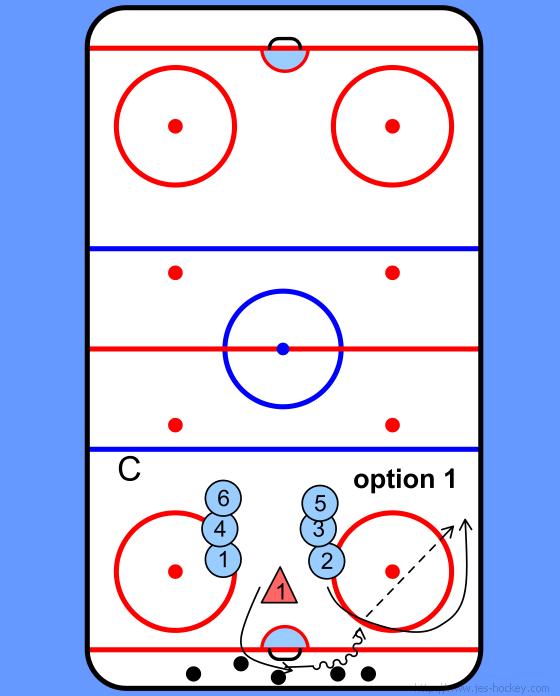 A variation would be to add a Coach at the blue line - player has to bank the puck past the Coach who provides light pressure. 1. Start off with a player F4 on the weak side boards who times it and provides secondary support for the outlet pass from F3. 2. Once F3 makes the pass, they time it and provide secondary support to the next F on the other side. 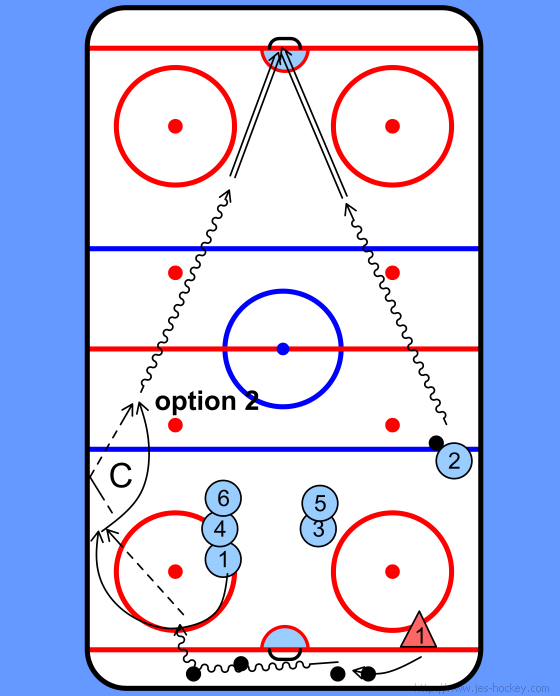 Instead of a pass the puck can be banked of the boards to the puck supporter. D provides passes to all players at the one end and another D can do it at the other end.